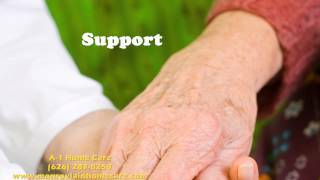 A-1 Home Care is a non-medical home care agency that provides a wide range of services seniors, the elderly and anyone in need of extra support and assistance. Our trained and friendly Home Care Professionals are available on flexible scheduling options for just about any situation. If your loved one is in need of 1-on-1 attention then it is time to call A-1 Home Care! With age, many daily tasks we take for granted can become daunting and a challenge. Activities such as cooking, grooming, bathing can suddenly put our loved ones in danger. We are to give you peace of mind and Personal Care and attention to your loved ones. It is our objective to provide quality and experienced Caregivers in the home (or hospital) to make sure their needs are met. This may include transportation for medical and social appointments, meal preparation, assisting with exercise or fresh air. We are here to make life easier. All of our In Home Care Providers have verifiable professional references and thoroughly background check before placement. They maintain active CPR certification and First Aid training. We specialize in Elder Care Services such as Arthritis Care, Alzheimer’s and Dementia Care, After Surgery Care, Cancer Care and more! We offer Hourly, Live-in and 24 Hour scheduling options. We accept Long Term Care insurance such as Penn Treaty, John Hancock, CALPERS, MetLife Insurance, Veteran Administration and Bankers’ Life & Casualty. Call us today at 562-929-8400 or visit our new Pasadena location for more information on how we can help your family now! When summer time hits, sometimes parents have to scramble to see who will be able to watch or care for their children while they are out of school. Summer camps and day care can often be very expensive, and family members or relatives may not always be available during the week. It’s also important that your children are safe and being cared for in a healthy and loving environment, which is sometimes difficult to find. What better place than your own home, but it’s a matter of now finding the right babysitter or nanny for you and your family. The agency with the best nanny and babysitting services is A-1 Home Care. A-1 Home Care Agency provides babysitting and nanny services in La Canada and the surrounding cities of Altadena, Pasadena, Glendale, Burbank, Los Angeles, and throughout Los Angeles County and Orange County. Our babysitters and nannies are CPR trained, TB tested, passed a criminal background check, and are live scanned approved. Skin cancer is still cancer. Most do not classify it as “important” or even as “cancerous,” however, it is one of the highest cancers today. There are ways to prevent skin cancer such as wearing sunblock and reapply it, say if you are spending the day at the beach. There are also the routine dermatologist appointments, who are great with helping people maintaining healthy skin; they have been known for identifying if a mole or a freckle is an early sign of skin cancer. Our skin is one of the most fragile parts of the human body, so we must take care of it. A-1 Home Care has a majority of senior patients who had or have skin cancer, therefore, our in-home caregivers understand the signs and ways that it can be maintained and treated, based on doctor’s consultation. Senile Purpura – are the purplish spots that appear most often on the arms and legs due to thinness of the elder person’s skin and frailty of the capillaries and blood vessels just below the surface. Stasis Dermatitis – is more common in elderly women than men; it is characterized by dry, itchy skin. Exfoliative Dermatitis – is a more severe form of dermatitis than stasis dermatitis, and is characterized by excessive peeling and shedding of skin. It is of particular concern in the elderly because the severe itching can lead to infections. Skin Infections / Infestations – bacterial infections and parasitic infestation such as scabies or ringworm are common in the elderly. Viral skin disorders – such as shingles and herpes zoster. Avoid hot baths and frequent showers. Use only mild soaps, and gently apply moisturizers to the skin after every shower or bath. Take extra care to avoid developing bedsores, particularly for those who are incontinent or bed-ridden. These individuals need to be turned frequently to avoid pressure-sensitive ulcers. And it is imperative that absorbent products and catheters be changed frequently. 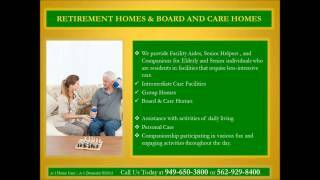 For more details on what our twenty-four, in-home care agency can offer, then do not hesitate to give us a call at our La Canada office 626-287-0250 or our Santa Fe Springs headquarters 562-929-8400. We cannot wait to assist you and find the right match for your loved one. Finding out that you or a loved one has diabetes can be a traumatizing issue. It can be difficult to start on a new path to self-care. Worrying about diet, exercise, new medications and doctor visits can be stressful – luckily, you don’t have to do it alone. It is becoming increasingly common to hire caretakers to assist you with all your daily necessities. From keeping track of you medications to preparing meals, caregivers can be an essential part of your daily life. Diabetes in seniors can present unique challenges but is possible to manage. Diet and exercise are crucial to treating diabetes at any age. In addition, doctors will typically form a treatment that includes medication and a suggestion for a new diet. It can all seem overwhelming at first but building a routine will effectively lead you on the road to success. Certified nurse assistants are being frequently contacted to aide as caregivers in assisting households. These certified home health aides can provide a personalized routine for you and your family. In addition, they can keep track of medication, assist with transportation and assist with any non-medical home care needs. 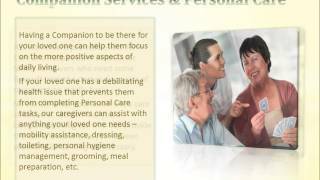 A-1 Home Care prides itself in establishing relationships between professional caregivers and clients. 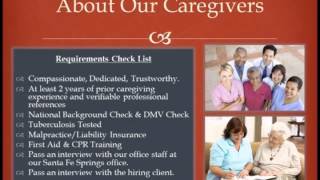 We assist in finding a caregiver that will not only be a great deal of help to your family but also compatible in every way. Our certified nurse assistants are CPR certified, first aid trained and have worked as hospital sitters in various hospitals such as USC University Hospital, Long Beach Memorial Medical Center, and Garfield Medical Center. They are committed to providing the best non-medical care they can offer. 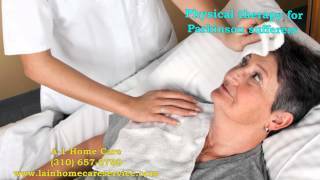 A-1 Home Care services Los Angeles communities such as La Cañada, Northridge, Pasadena, Glendale and Burbank. 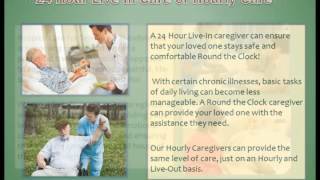 We provide 24-hour home care and hourly care depending on your needs. If you would like more information about our friendly caregivers and what we can offer you and your loved ones, please give us a call at (310) 657-8780 or (562) 929-8400 or visit our website at lacanadainhomecare.com. Surgery can be quite costly, so sometimes those who recently undergo surgery don’t think that after surgery care is feasible or even necessary. However, to ensure a speedy recovery, it’s important for patients, who have recently had surgery, to receive the care they need even after they leave the hospital. After surgery, patients will need to rest to recover, but if they have errands to run, meals to prepare, and or housecleaning to do, it may be difficult for them to receive the required rest. A-1 Home Care is stepping in with professional personal care assistants who can provide exceptional after surgery care at an affordable rate. Whether hourly or live-in care is needed and whether the patient has undergone surgery for hip fracture, knee replacement, cancer, incontinence, or cosmetic surgery, our care providers can assist with a variety of care. They can assist with meal preparation, maintaining a clean incision area at all times, personal hygiene, bathing, toileting, and exercise. A-1 Home Care has been serving the city of La Canada and all throughout Los Angeles County since 1991, and all of our care providers are CPR certified, TB tested, and Live Scan approved. If you or a family member has been diagnosed with Dementia, many questions can arise such as how will this effect their lifestyle? What kind of options do we have for care? What are the costs? What are the benefits? Is is affordable? Where do I start? When you consider some of the symptoms of Dementia such as memory loss and mental confusion, it just makes sense to consider home care as the most beneficial option for care. If it comes down to deciding between moving to a facility or staying in the comfort and familiarity of their home, generally one would prefer to remain in one’s own home. Home is a place where many memories have been created and the location of things such as furniture, restrooms, even the light switches are all familiar to the resident. With dementia activities of daily living become more difficult, which is why being in a familiar environment can ease the transition of lifestyle. Additionally friends and family can easily come to visit and are close by. Home care is affordable, personal, and is made to fit the needs of the patient. A-1 Home Care Agency has been serving the city of La Canada in Los Angeles and it’s surrounding regions such as Glendale, Pasadena, Altadena, Beverly Hills, Burbank, and even Orange County for over 25 years provide experienced personal care assistants, who are compassionate, personable, and hard-working. You’ll have peace of mind when you received care from A-1 Home Care. Our CNAs, CHHAs, and personal care assistants provide a variety of care from personal care, hygiene management, grooming, getting dressed, meal prep, supervise with medications, laundry, light housecleaning, and running errands. Global Warming and Kidneys: What’s the Connection? With all the talk about the Greenhouse Effect, climate change, and environmental pollutants, would you have ever thought that global warming would affect your kidneys? Probably not in a million years. However, in view of the Earth’s changing climate in recent decades, researchers say that the planet’s warmer temperatures and increasing levels of air pollution are big contributors to kidney failure, based on reports from analyses of climate trends. You don’t need to be gold-mining in the depths of the Earth to be exposed to environmental pollutants; it’s all around you, in the air you breathe, especially if you live in congested cities in Los Angeles County. Toxic exposure to environmental pollutants is one of the major causes for renal failure. Whether you are healthy or not, the toxins you inhale contain bacteria and viruses that increase your chances for heart attack, lung disease, and respiratory problems, not to mention triggering the onset or progression of chronic kidney disease, ultimately leading to renal failure, a condition in which one or both kidneys lose the ability to filter waste in the body. The build-up of toxins in the body is such that it damages the kidney and will require extensive treatment like dialysis to prevent damage to other vital organs in the body. When kidneys shut down, the person experiences fatigue, headaches, loss of appetite, nausea and cognitive impairment, just to name a few symptoms. Depending on the stage of kidney disease, patients may need part-time or full-time live-in home care assistance with cooking, cleaning, bathing, grooming, personal care, transportation and more. 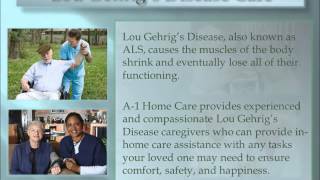 A-1 Home Care has become La Canada’s preferred home care agency for many reasons. 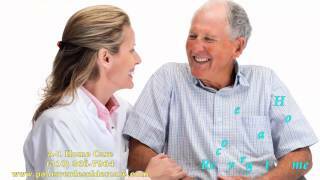 High quality senior care, kidney care, cancer care, arthritis care, Parkinson’s care, Alzheimer’s care and many other types of in-home care services are available at affordable rates. Families of all income levels can enjoy superior 24-hour services without breaking the bank, thanks to A-1 Home Care’s easy financing options. Our care managers help you develop a kidney care plan based on your budget, needs, and availability. 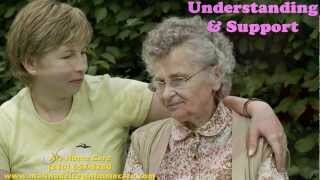 We are a licensed, bonded and insured agency dedicated to senior care, safety and protection. 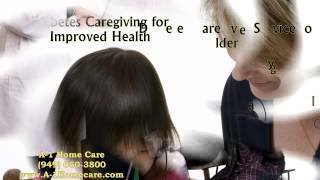 To hire a caregiver today, call A-1 Home Care (310) 657-8780 or visit www.lacanadainhomecare.com for services in La Canada Flintridge, Pasadena, Glendale, Burbank, Glendora, Covina, Duarte, Sierra Madre, and other surrounding areas.